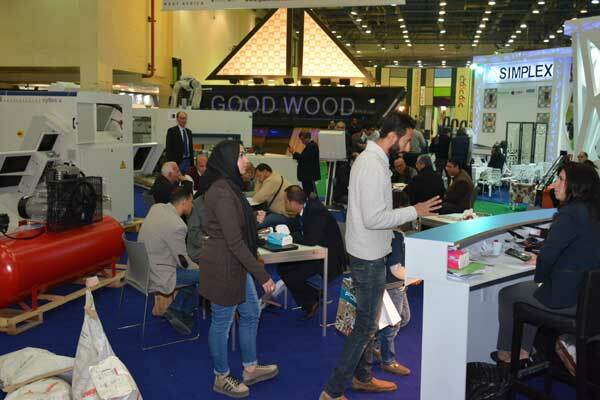 Wood industry leaders from 175 companies will explore investment opportunities and conclude business deals at the fourth edition of the Cairo WoodShow, to be held next month, in Egypt. The event will take place from November 30 to December 3, at the Cairo International Convention Exhibition Center. This year’s edition of the event introduces its newest feature, the International Buyer Program where manufacturers, contractors, traders and real buyers from Morocco, Algeria, Tunisia, Libya, Sudan, Lebanon, and Jordan can meet and conclude regional and international business deals to further boost the growth of timber industry in the region, said a statement from the organisers. The event will be held under the patronage of Egypt’s Ministry of Trade and Industry and is a co-located event with Cairo International Furniture Accessories, Components, and Semi-Furnished Products Show (CIFAC). North African countries have posted a sharp increase in real estate, pushing the demand for furniture products and decorative items especially for residential and hospitality projects. The region’s growing population will be needing more housing, educational institutions, and other infrastructure that would result to an increase in the demand for timber. Several African countries each import over $100 million of furniture- Egypt ($1.3 billion), Morocco ($470.5 million), Algeria ($428.7 million), South Africa ($359.8 million), Tunisia ($170.4 million), Ethiopia ($107.7 million), Botswana ($58.4 million), Nigeria ($57.4 million), Kenya ($52.8 million), and Namibia ($47.9 million), it said. Through Cairo WoodShow’s International Buyer Program, exhibitors coming mostly from the region can maximise the dedicated platform to increase their business bottom line as the four-day event will provide direct negotiation between exhibitors and genuine buyers, and trade servicing feature between nations. It will showcase a wide range of raw wood materials and finished products available at very competitive prices and can fill the timber import demands of neighbouring countries. International Buyer Program is Cairo WoodShow’s tool to globalise the annual event by ensuring active participation of African countries to further boost the growth of the industry in the region and provide them the leading edge to be globally competitive. With the support from the Export Development Authority (EDA), Industrial Modernization Centre (IMC), and Egyptian Furniture Export Council (EFEC), the event anticipates around 175 wood and woodworking machinery companies from 24 participating countries to showcase their new products and innovation to over 8,000 specialised visitors.